Have you ever wondered what Game of Thrones would be like as a musical? Yeah, neither have we. Apparently, when you consciously uncouple, that frees up a lot of time. For America's first Red Nose Day appeal, Coldplay teamed up with the cast of Game of Thrones to re-imagine what the iconic series would be iike as a musical. Though reluctant at first, Chris Martin manages to assemble most of the cast in this hilariously realistic spoof of celebrity passion projects. Highlights include performances of "Rastafarian Targaryen" and "Still Going Strong" and of course, Kit Harrington swooping in to save the day. The MVP joke of the short has to be Ygrid declaring "you know nothing Chris Martin". 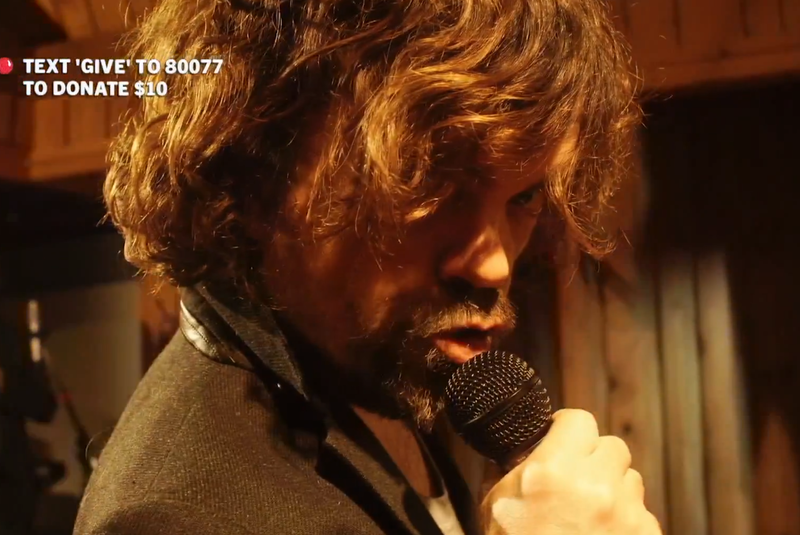 Tyrion Lannister performing a song about all our favourite deceased characters is a definite winner if not kind of a downer.